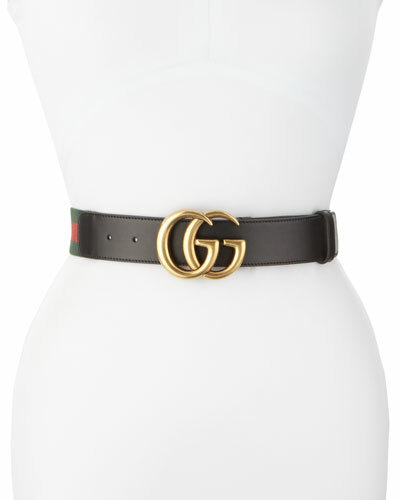 Belts never go out of style; they are timeless. 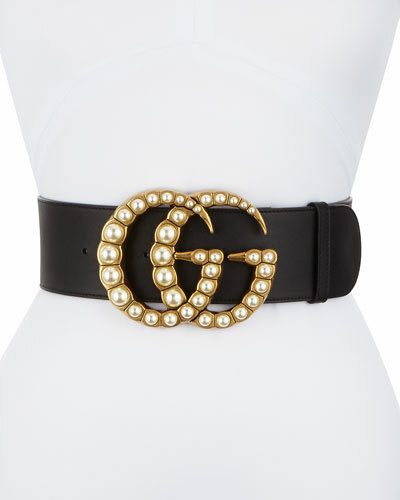 A staple for celebrities and style icons, designer belts have been the perfect compliment to an outfit for years. 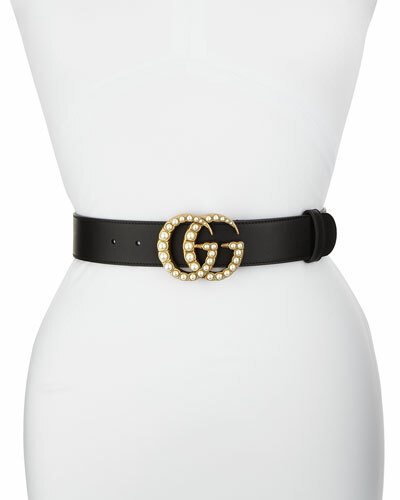 Add a touch of glamour to your outfit with designer belts for women from Neiman Marcus. From the timeless logo and buckle belts to the elegant self-tie belts, we have it all! We have the season’s best belts available. Whether you are looking for web, buckle, stretch, or reversible belts, we have all the varieties to suit your style. Available in a variety of colors, pick the trendiest waist-cinchers at Neiman Marcus and flaunt your figure with confidence. You can browse through our collection by designer name, color, size, and more. Shop for women’s belts in attractive designs and cool colors at Neiman Marcus. 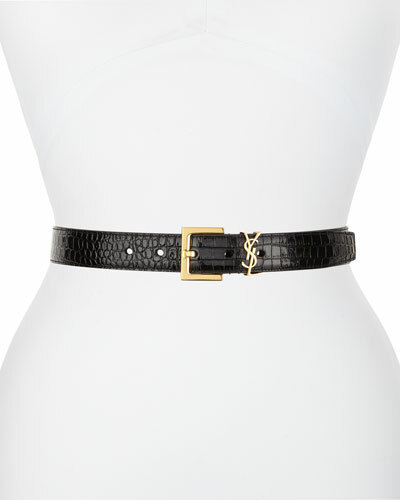 Brunello Cucinelli metallic corset belt. Ties at front. Lamb leather. Made in Italy. Model's measurements: Height 5'10"/177cm, bust 31"/79cm, waist 24"/61cm, hips 34"/86cm, dress size US 0/2. 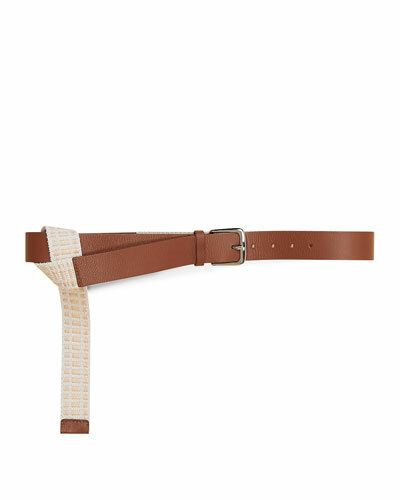 Brunello Cucinelli belt in deerskin leather. Silvertone Western buckle. Adjustable fit. Made in Italy. Model's measurements: Height 5'10"/177cm, bust 32"/81cm, waist 24.5"/62cm, hips 36"/91cm, dress size US 2/4. Isabel Marant "Demmo" liquid look tunic. High knotted neckline. Long sleeves. Relaxed fit. Hem hits hips. Pullover style. Polyester. Imported. Lise Charmel "Ecrin D? ?sir" garter belt in stretch lace. Elasticized waistband with soft flexible lace accents. Lace has a light stretch. Romantic scalloped lace decorates the hip. Ruched, adjustable garter straps. Fits over waist and hips. Adjustable garter straps. Back hook/eye closure. Nylon/polyester/spandex. Imported. Stockings sold separately.